Perrier Award-winning Dominic features as a team captain alongside Lee Hurst and Marcus Brigstocke in the new Channel 5 panel show ‘What in the World". He played a writer in both series of BBC3"s Rob Brydon"s Annually Retentive. 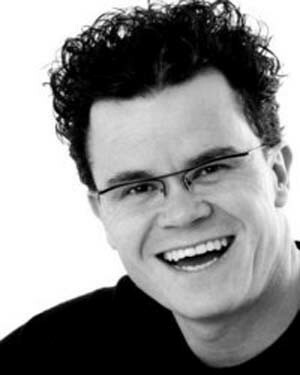 His film, TV and radio work also includes, The Small World of Dominic Holland (BBCR4), which was named as one of the station"s listeners most popular comedy shows and Holland Shorts whose last series aired on BBC R4. His other credits include Young Persons" Guide to Becoming a Rock Star and the film Tube Tales, directed by Armando Iannucci. He is also a regular panellist on Five"s ‘The Wright Stuff" and a regular contributor to Five"s evening news show. He has also written for Harry Enfield, Lenny Henry, On the Spot, What If (BBCR2), and Clive Anderson (BBC), in which he also appeared giving a comedic slant to the week"s news topics. His first novel, Only In America, was published in 2002 to excellent reviews, and his follow-up, The Ripple Effect, the following year. He is about to finish a third, Metallic Paint. In addition, Dominic has made numerous guest appearances on such television shows such as Have I Got News For You, The Clive James Show, The Brian Conley Show, The Des O"Connor Show, The Stand Up Show, Edinburgh Nights, Best of Edinburgh, The Royal Variety Show and Never Mind the Buzzcocks. Dominic has performed five critically-acclaimed sell out one-man shows at the Edinburgh Festival. He won the Perrier Best Newcomer Award in 1993 followed by a Perrier Nomination at the1996. Dominic has an acute eye for people"s idiosyncrasies, weaving minute details and observations into his material. His engaging stage presence gives his shows a real intimacy and warmth. As one of the country"s most respected comedians, playing regularly at The Comedy Store and Jongleurs and performing at theatres all over the country.